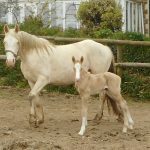 CRACKING PALOMINO FILLY FOAL ARRIVES – WHAT A SIZE! This morning welcomed the arrival of a beautiful Palomino Filly Foal. A VERY big foal too! 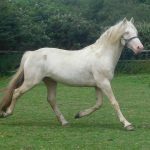 Sired by Cremello Welsh Part-bred Stallion Tresorya Gwynhaf Llawen who is now standing at stud in Switzerland. Her dam is W.P-B.R. Tresorya Tegan Annwyl who has always bred us beautiful foals with a lovely temperament. This one is another Special One! Name to be chosen. Photo below taken when only a few hours old. Look at those legs! 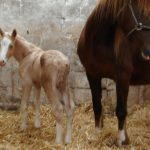 ANOTHER SMART PALOMINO COLT FOAL HAS ARRIVED – A GOOD SIZE TOO! 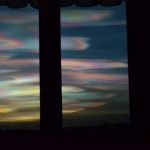 A very exciting evening as around 6.30p.m. Cremello W.P-B.R. 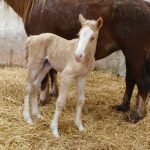 Tresorya Chantilly Lace had her first foal by Tresorya Rhodri Rhun. 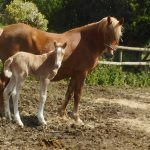 A very smart Palomino colt with lovely markings and a big upright colt too! With his bloodlines he will hopefully have great potential. The dam is a full sister to Cremello Stallion W.P-B.R. Tresorya Gwynhaf Llawen, now at a stud in Switzerland. 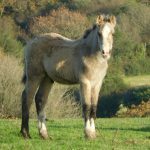 The new foal, to be named Tresorya Cornish Legend, will be offered For Sale. 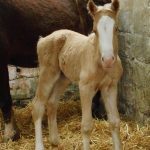 ANOTHER PALOMINO COLT ARRIVES – WHAT A CRACKER!!!!! Great excitement as another very smart Palomino Full Welsh D Colt arrived this morning. 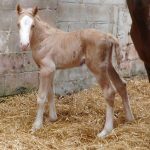 The first foal by Tresorya Cornish Cream and out of Selattyn Dancing Lady. To be named Tresorya Dancing Lord. 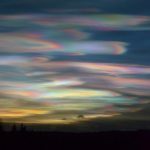 He is very special and certainly has the WOW factor! Lovely conformation with unusual markings. Very friendly too! One for the Show Ring! Possible future stallion too ? 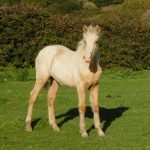 The first foal arrives – a very smart rich Palomino Welsh Part-bred Colt. Quite a character already. He was a very dark colour at birth, but is going lighter and more golden. 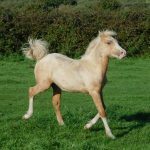 His Dam is a cremello mare Tresorya Hopscotch and his sire is Chestnut Stallion Tresorya Rhodri Rhun. Therefore guaranteed a Palomino. Photos will be on the website shortly. His name is to be decided. He will be offered for sale and his new owner can choose the name if they wish? We were delighted to hear that W.P-B.R. Tresorya Gwynhaf Llawen has arrived safely at his new stud in Switzerland. He coped with travelling for the first time and is settling well. He appears to be very comfortable and happy in his new home. What a beautiful setting! Wishing Gwynhaf and his new owner a wonderful future. Late last evening Cremello W.P-B.R. Tresorya Gwnhaf Llawen left Tresorya Stud to start his long journey to another stud in Switzerland. He loaded well for the first time under the floodlit yard, and we very much hope he travels well for the rest of his journey. He has sired some beautiful foals and will be very much missed at the stud. His temperament is amazing and he is a very smart stallion. He needs to be seen, as cremello doesn’t photograph well. 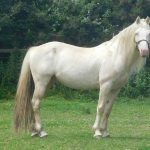 He has only been offered for sale as we now have a Cremello Full Welsh D Stallion Tresorya Cornish Cream, and not really the space for 3 stallions. 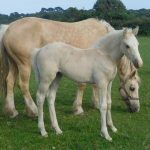 We have retained Gwynhaf’s full sister Tresorya Chantilly Lace, who is in foal to Tresorya Rhodri Rhun, so guaranteed a palomino foal. We also have one or two of his offspring at the stud, and with 2 more foals expected this summer. He has a number of mares awaiting his arrival in Switzerland! We wish him well with his lovely new owner in Switzerland, who will be keeping in touch. Wishing you a safe journey Gwynhaf – you are a little Star! 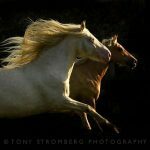 Below a variety of photos of Gwynhaf, including the last one taken by Equine Photographer Tony Stromberg, which he took last Autumn when he held a workshop at Tresorya. PREPARATION STARTS AT TRESORYA IN TIME FOR NEW ARRIVALS – DO HOPE THE WEATHER IMPROVES SOON!!!! It’s been a busy 2018 so far at Tresorya, not helped by the very difficult winter. Rain and more rain, followed by snow, then rain and snow again. We are now back to RAIN, with more snow expected!!! Fortunately all of the horses have coped well, but I think everyone is looking forward to Spring and Summer. Tresorya Ricardo has gone to a lovely new home locally, to be broken for driving, hopefully to be one of a pair. He has settled very well, so will look forward to hearing of his progress. 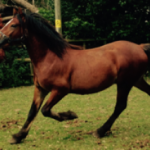 Tresorya Cenau has recently gone to a lovely new owner Near Manchester, and has also settled really well. We are also preparing for others to leave shortly. 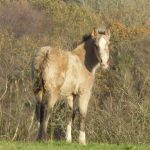 Not long now before foaling will commence for 2018 – am hoping that the rain will stop soon, and it will be more like Spring. 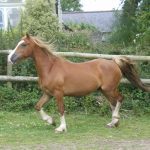 Several mares are in foal and both Full Welsh Section D and Welsh Part-bred foals are expected – Mainly Palomino and Buckskin/Dun. Some are expected quite early, but fingers crossed will hold on for a while until the weather improves! 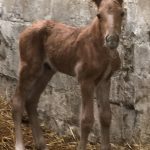 2018 Foals will be offered For sale – a waiting list has been started. There are also 3 of last year’s foals currently available For Sale. If you would like more details please do not hesitate to contact us. 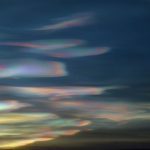 TRESORYA ARAMIS’S AMAZING SIGHTS – Welcoming 2018! 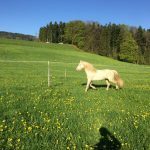 We have received from Tresorya Aramis’s new owners in Sweden some rare and amazing photos of the sights and experiences which he is enjoying. 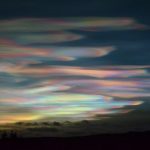 Showing the rare ” Polar Stratosphere Cloud “. 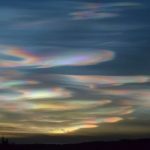 I felt I would like to share them – What a great start to 2018! Wishing everyone a Very Happy New Year. Today buckskin colt Tresorya Caramac was weaned. He was a later foal, but we have decided that it is now time for him to join the others where it is less wet. He is so woolly at the moment, and just like a cute teddy bear! Caramac is by Tresorya Cornish Cream and out of Talebolion Catia who is by a Supreme Champion. He is offered for sale, and hopefully we will find him a lovely new home soon.